Bang & Olufsen launches BeoPlay V1 TV and BeoPlay A3 iPad dock | What Hi-Fi? 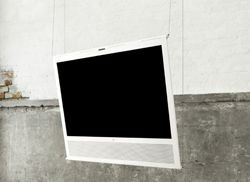 Bang & Olufsen today launched the BeoPlay V1 TV, the first television in B&O's new, more affordable B&O Play design series. B&O promises the BeoPlay V1 TV will deliver "brilliant sound, brilliant design and complete control" thanks to the inclusion of a universal remote. Also launched today was the BeoPlay A3, an iPad dock with an angular design and active accelerometer that allows it to sit in either landscape or portrait mode. And the V1 TV has a few placement options up its sleeve, too, with the integrated stand allowing it to sit on the floor or a shelf, attach to the wall or even hang from the ceiling. The full HD TV has five HDMI inputs, a USB connection, DLNA compatibility, wireless connectivity for connecting to streaming devices and even room for an Apple TV box should you want to plug one in to the back of the set. Sound comes courtesy of Bang & Olufsen's proprietary Class D ICEpower amplification and promises class-leading sound quality – admittedly not too hard for a TV. Available in 32in and 40in screen sizes, the BeoPlay V1 TV will cost £1999 for the 32in model and £2499 for the 40in, and will be available in either black or white. The BeoPlay A3 iPad dock meanwhile can sit at all manner of angles thanks to the clever design, while the integrated accelerometer ensures the screen rotates as the iPad dock moves. it weighs in at around 1.5kg, has a rechargeable battery good for five hours and will cost £449. It's due out now.